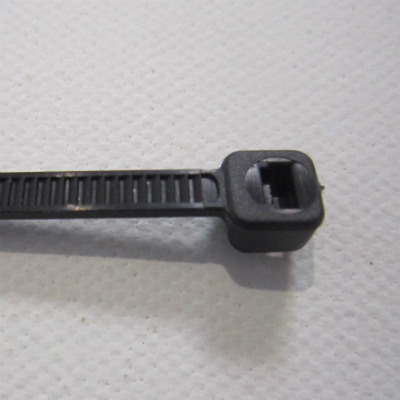 VELCRO® Brand hook and loop fasteners are available at Ace Packaging Supplies. 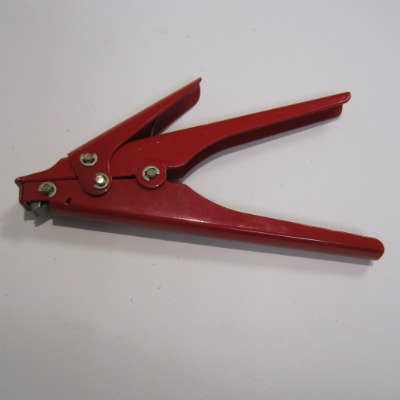 Easy to use, maintenance free and safe, it has been used in every conceivable application. Superior PS 0172 adhesive makes VELCRO® Brand the very best in hook and loop fasteners. Ideal for smooth surfaces and can be used inside or outside. Available in either 19mm or 25mm wide strips, each roll containing 25 metres. Available in both Hook and Loop and are sold independently. All VELCRO® Brand brand products are available through Ace Packaging Supplies, minimum order quantities apply. Please contact us for more information. increase the area of the bond, e.g. using larger pieces of VELCRO® Brand. ensure that the force is applied parallel to the plane of the fastener surface, e.g. bending around a corner. 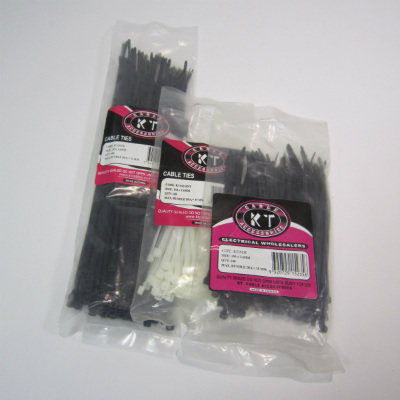 • Quality Cable Ties from KT Cables. • Available in light, standard or medium duty. Black or Natural colours available. • Choose from a wide range of available sizes. • Packs of 100 ties.